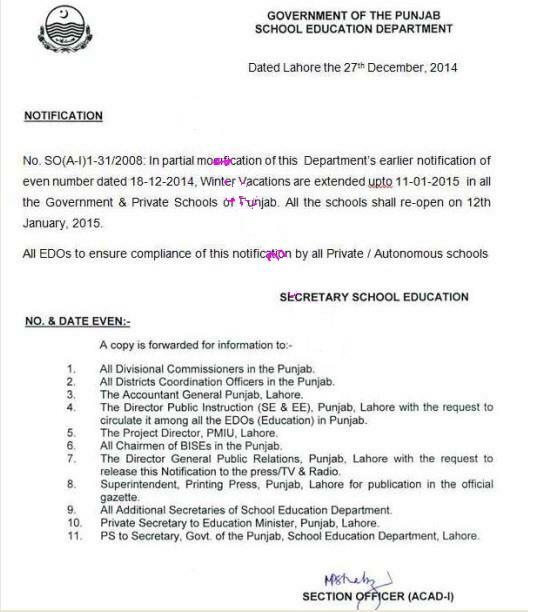 Lahore (News Update/ Breaking News / Sunday, December 28th, 2014) – Punjab School Education Department has again extended the winter vacations for the season on 2014-2015. 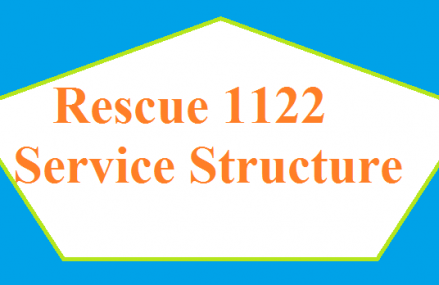 Now according to latest notification all private and government school,will open on Monday, 12/01/2015. Thus holiday schedule will spread from 18-12-2014 to 11-01-2015. This circular issued Vide No. SO9A-I)1-31/2008 dated Lahore the 27th December, 2014. This fresh notification has been issued in view of current law and order situation after the attack on Army Public School in Peshwar Cantt. on December 16, 2014. This this carnage almost 140 students and teachers were martyred by Taliban militants. Security arrangements are being reviewed in all over Pakistan and Operation against the Talibans is carries out through out the country including four provinces and tribal belt (FATA). In School recruitment of Security guards and construction of boundary walls are underway. plz snd us final news about winter holidays….